We are open to anyone who is pregnant, no matter which hospital in the city you’re going to for delivery. We cover everything you can expect when you’re expecting. No need to register—just show up! We invite all moms-to-be to attend one of our clubs! Bring a friend or family member, and Dads are invited too. It is always free! You can meet other moms, ask questions, get answers, and have fun. Come for the gifts! 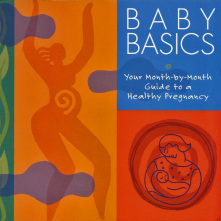 Receive a free copy of the Baby Basics book, plus get a free 10-pack of diapers every time you attend. Each week is a new topic: Eating healthy, remedies for morning sickness, signs of labor, and more. Lunch served at noon group. We hope to see you soon! Newport News Adds New Baby Basics Moms Club! Welcoming Baby Basics Moms Club to Newport News! 'Before Baby' Moms Club of Virginia is excited to announce the launch of Baby Basics Moms Club in Newport News. The club officially kicked things off with an Open House on August 26, from 5 to 7 p.m. at the Community Education Building/Conference Center at Mary Immaculate Hospital. The group is free, fun and on a drop-in basis, according to its organizer, Liz Marshall. "All pregnant women are welcome," she said, along with a friend or family member. Read this feature article from the local Newport News Daily Press.